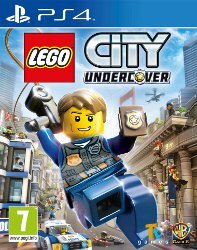 To celebrate the release of LEGO® CITY Undercover, we’re offering three winners the chance to win a copy of the game for the PS4. LEGO® CITY Undercover features Chase McCain, a police officer who goes undercover and dons multiple disguises to hunt down the notorious – and recently escaped – criminal, Rex Fury, to put an end to his city-wide crime wave. The game features more than 20 unique districts to investigate, filled with car thieves to bust, vehicles to navigate, mischievous aliens to capture, hilarious movie references to discover, lost pigs to rescue and of course, hundreds of collectibles. Bringing together witty, original storytelling with signature LEGO® humour, this open-world LEGO® adventure creates a fun-filled experience for players of all ages. The competition closes at 23.59 (GMT) on Wednesday 10th May 2017.